I was named for a childhood friend of my mother’s—a lost friend. 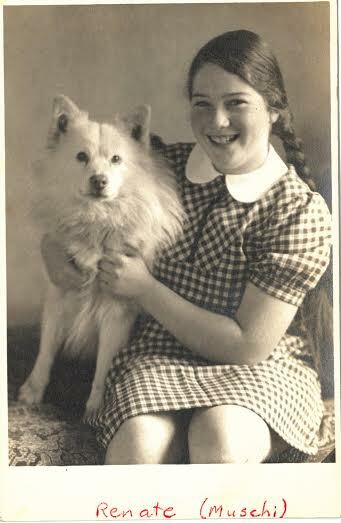 In the early 1930’s, when my mother was no more than eleven years old, she participated in a student exchange program. Her alma mater, Palmer’s College in England, was a progressive girls’ school which evidently had no qualms about sending their students to various places in Europe for months on end! To be fair though, my grandparents didn’t mind either and my mother, Joan, was absolutely thrilled. Joan was sent to a family in Berlin to learn the language and culture of Germany. The Benjamins were a warm family who treated her like a daughter. Mr. Benjamin was a kind, gentle man, the manager of a bank in Berlin. His wife was kind too but stricter. She made sure that Joan spoke only in German—hard at first but it turned my mother’s basic schoolbook German into fluency by the time she left. The Benjamins had two daughters; the younger one, Renate, was Joan’s age and they became best friends immediately. Mrs. Benjamin didn’t restrict my mother’s learning to just the language. 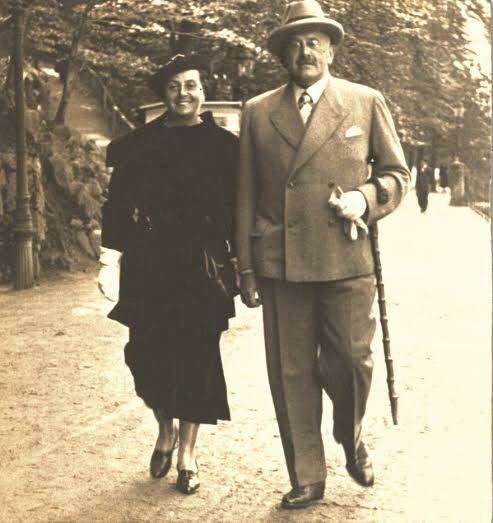 She and Renate showed Joan the sights of beautiful pre-war Berlin—the fantastic department stores, the parks, the famous boulevard of Unter den Linden (“under the linden trees”). Sometimes they would drop into the bank to see Mr. Benjamin and let him take them out to lunch. But often the two girls would just hop on bikes and explore the leafy suburb on the outskirts of Berlin where the Benjamins had their home. Wannsee had lakes and beaches and lovely houses hidden amongst the woods. The three months my mother spent with the Benjamins created some of the happiest memories of her childhood. She never forgot their kindness and stayed in touch with Renate for years before losing touch. For the Benjamins were Jewish; the pretty area they lived in gave its name to the infamous Wannsee Conference in 1942 when the Nazi leadership met there to plan “the final solution”. Mr. Benjamin lost his job and died in 1938. The last time Joan heard from Renate was before the war when she and her mother were trying to leave Germany for Tel Aviv. Did they make it? I hope so. The meaning of the name Renate is “reborn.” Perhaps the Renate I am named for found a new life in her new country. The Reichsvereinigung der Juden in Deutschland was established on 4 July 1939 under the 10th decree of the Nazi’s Reich citizenship law. The organization came under the authority of the Reich Security Main Office, in particular the Gestapo. Its purpose was to identify, and to prepare for emigration, all of Germany’s Jewish population. She found Mrs. Benjamin’s name on that list and Renate’s and her sister’s. Mr. Benjamin had died by then. Chilling and sad. Does your name tell a story? I’d love to hear about it, and publish it here. These bitter sweet stories seem never ending. Indeed, Donna. History lessons that touched the lives of so many. Chilling and sad, indeed. Thanks for sharing this story, Diane. Very compelling. Question: their names were on the list, but is that the last track of them that she found? Cynthia, yes. Renata said that she might be able to find out more if she researched more extensively on the internet, but she is busy right now with a novel and renovating their home. Maybe one day she will have more time.